Since this week marked the return of cold weather to the Bay Area, what better way to warm the chill than with a bowl of almond tea/soup? I love almond-flavored things, like amaretto creamer in my coffee, gelato, and almond jello. 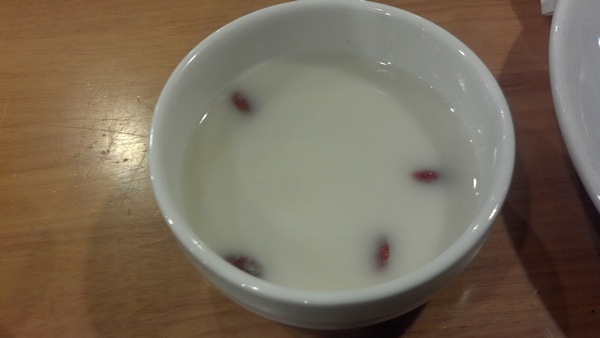 So this warm, sugary almond-milk soup is always an instant winner for me. 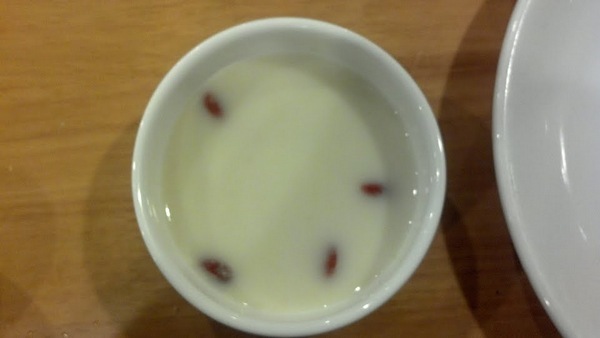 The little red things are small, soft red dates. Tasty! We even have the instant powder at home to make our own. Someday I should learn how to make it from scratch. Though I'd have to figure out what a cheesecloth is and where to find one, which sounds daunting. @kim - hardware store?! Really? I too love all things almond!! YUM!!!! yay for almond goodness! and yet again you've opened my eyes to another new food. Hey Penga! Not sure if you remember me but I was an avid reader of your weddingbee posts and figured I'd see how you're doing! 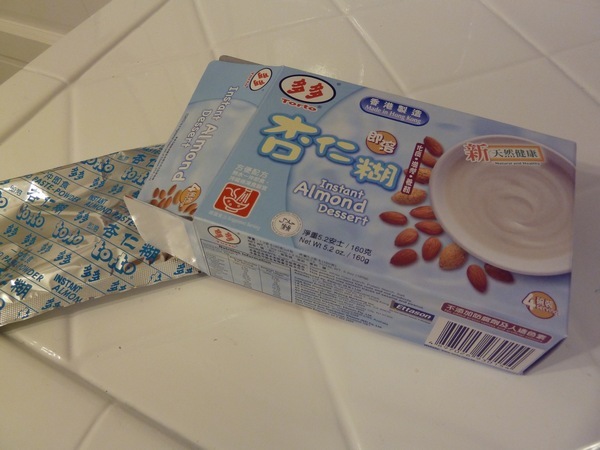 Ive NEVER heard of almond tea but it sounds absolutely delicious! Please try the scratch version and let us know how it is! I like almond too! I've never tried this, but I think I've tried something like it with boba before? Yummy! @annette - hi hi! Thanks for the cheesecloth suggestion, I will try and find some next time I'm either at a hardware store or Joanne's! Which won't be long because something is always breaking around here. :P lol. @kristin - I've had it with tapioca before too, maybe it is the same thing! They sell cheesecloth at Safeway, in the the area with the pots.